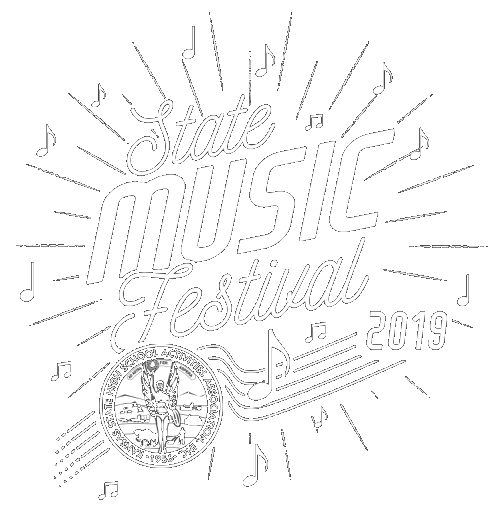 The Kansas State High School Activities Association (KSHSAA) as recommended by the Kansas Music Educators Association (KMEA) has adopted a Published Music List for KSHSAA State Music Festivals -- Large Groups. Kansas band directors, at all educational levels, have a common goal of providing band students with a quality music education through performance. Providing band students with a quality music education through performance requires the selection of quality music for rehearsal and performance. Band music is diverse in difficulty level, style, and quality. However, 'quality' is not necessarily determined by difficulty level or style. During the last several years, a number of outstanding music educators and music organizations have studied the band repertoire and have suggested characteristics common to quality band music. These characteristics include band compositions that are interesting, stimulate the imagination, reflect craft, require reflection and study, and provide opportunities for the enhancement of student musicianship. It is the purpose of the Published Music List to provide challenging examples of such literature that are appropriate for all classifications of ensembles. This music list will be revised for the 2020-21 school year. 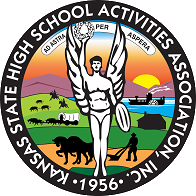 Persons wishing to submit selections for consideration should forward a copy of the conductor's score to the KSHSAA prior to May 1, 2020. The KSHSAA wishes to thank the following band directors who gave so generously of their time and knowledge to revise the updated list for 2018-20: Chair Randy Fillmore, Lawrence Free State HS and committee members Dr. Martin Bergee, University of Kansas; Dr. Paul Popeil, University of Kansas; Dr. Matthew Smith, University of Kansas; Dr. Martin Bergee, University of Kansas; Dr. Paul Popiel, University of Kansas, Larry Brownlee, Sterling HS; Mike Jones, Lawrence HS; Bill Thomas, Shawnee Mission West HS; Randy Fillmore, Free State HS; Damian Johnson, Eudora HS; Bev Lister, Berean Academy HS; Allen Hisken, Belle Plaine MS; Jayme Malsom, Holton HS; Eric Stambaugh, Buhler HS; Will Cooper, Baldwin City HS; Justin Love, Olathe North HS; and Michael Mapp, Washburn University. Web posting of the Published Music List and enforcement of music policies will be the responsibility of the KSHSAA. Web list may be downloaded but will no longer be printed and published. At least one composition shall be selected from the Published Music List in the appropriate classification. The school’s second designated group may perform music from one classification lower than their first large group. EXAMPLE: The second band or orchestra from a 5A or 6A school may select literature from the 3A and 4A Published Music List. Bands, with their principal's consent, may request permission to perform literature from one classification lower than the required level. All requests correctly submitted will be automatically approved. Similar requests must be resubmitted each school year.